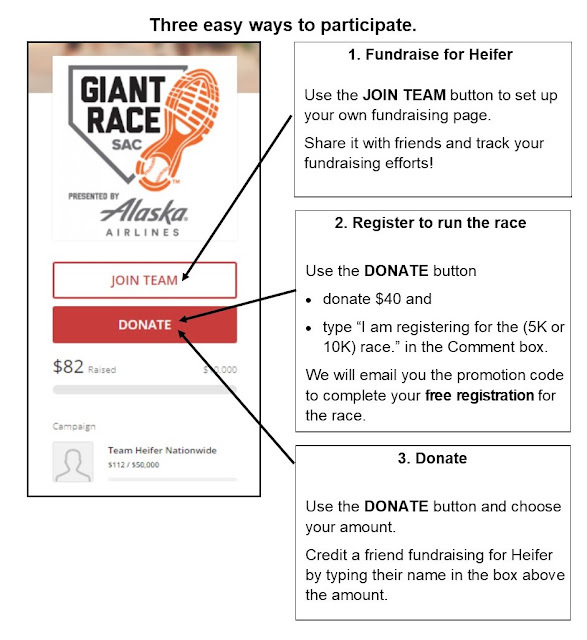 Heifer Sacramento Volunteers are partnering with the San Francisco Giants at the annual Giant Race fun run on Saturday, April 21, 2018, at 8:00 a.m. at Raley Field in West Sacramento. All ages and fitness levels are welcome to walk, jog, or run the 5k or 10k routes on the banks of the Sacramento River. 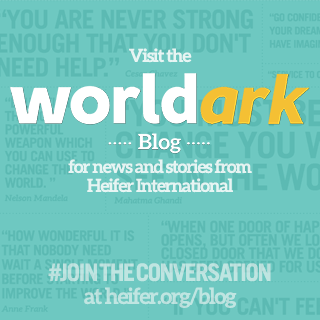 Funds raised will support Heifer International and other charitable programs including the S.F. Giants Community Foundation. We look forward to seeing you at this fun activity!! All finishers will receive a tee-shirt and medal. 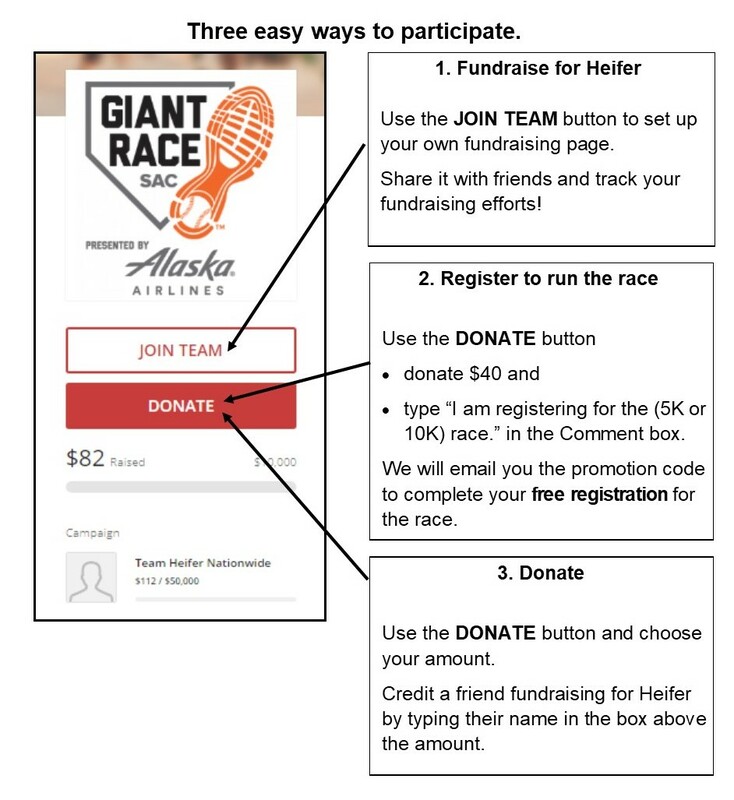 We have three easy ways to participate! 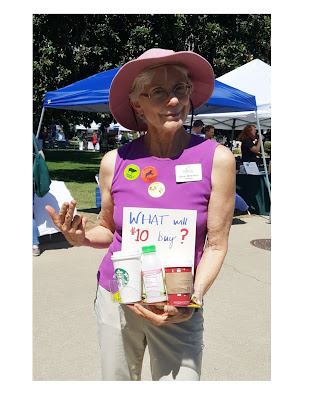 · Share it with friends and track your fundraising progress!